But hurry, less than three days to get in on this! GoodReads isn't Facebook! Or Twitter! On the heels of a user asking GoodReads to add Twitter style @ing to "pull in" people into discussions (ugh! ), now we have another who wants GR to add Facebook style tagging. "...why an author should even have a place on which readers can post reviews, if the author isn't supposed to look at them..."
I don't know if this author knows something I don't - that there are authors who have set up places for readers to post reviews, or if she is under the impression that GoodReads and Amazon (which is what we're discussing) are sites authors have set up for readers to post reviews. Either way, I'm shaking my head. After seeing an author recommend "Reader's Favorite" to other authors as an inexpensive alternative to Kirkus for editorial reviews it set off warning bells for me when she also mentioned she'd gotten some reviews posted to Amazon from it. Authors can request a free review, or pay a fee for an "expedited" review. The author's book is submitted for member readers to chose to read - I'll get to how it works on the reader's side further on. The free service doesn't guarantee the author will get a review, the paid service does guarantee a review. The review will be provided to the author and they can post the review in the "editorial review" section of Amazon if they want. 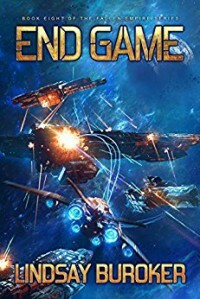 If the review is at least 4 stars Reader's Favorite will also post the review to their site, Barnes & Noble, Google Books, Facebook, Twitter, Instagram, Google+ and Pinterest. I haven't (yet) verified if they're posting to Barnes & Noble as a consumer, but if not so far this is no problem. Which we know, and authors should know, violates TOS for sites like Amazon and GoodReads, and I presume Barnes & Noble, and probably everywhere else that allows consumer reviews. 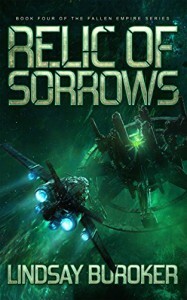 I also strongly feel that any author considering doing business with a company like this should not simply look at the author information, but also the reader information, and ensure the service is in complete compliance of various TOS as well as FTC regulations, prior to doing business with them. The authors I warned about this were distressingly unconcerned about anything other than the fact that they didn't feel they personally were violating any TOS by requesting reviews by this outfit. Nevermind the rest of how this site functions, and how those reviews are posted that do violate various TOS. Which takes us to the Reader's side. What do readers get and what are they expected to do? There are some stipulations I find bothersome, but don't violate TOS, so I won't detail those here. Firstly, they are required to provide a review for a book they choose to accept within 3 weeks. But then it goes on to say if they need more time that's not a problem, and if they decide not to review a book they can just remove the book from their list. So, that's a bit confusing. I'll point out that requiring a review in exchange for a free book violates Amazon and GoodReads TOS. RF tells readers, "We will post your review on Google Books, Barnes & Noble, Facebook, Twitter, Instagram, Google+ and Pinterest, as well as on our website. The author can post the review in the Editorial Reviews section of their Amazon page. You can post your review anywhere you like except Amazon, Google Books and Barnes & Noble because your review will already be posted there." This is problematic. They cannot post the review anywhere they like, because their reviews will violate GoodReads TOS, and probably TOS of other retailers. They cannot post their reviews as consumer reviews. They can only post them as professional reviews where professional reviews are allowed, such as their own blog or their Facebook, etc. "Although this is primarily a volunteer position, we also pay a small amount for each review and a little more for priority reviews. But this money is not enough to be considered payment for your services and should instead be thought of as a gift that can add up to a tidy sum over a couple of months. 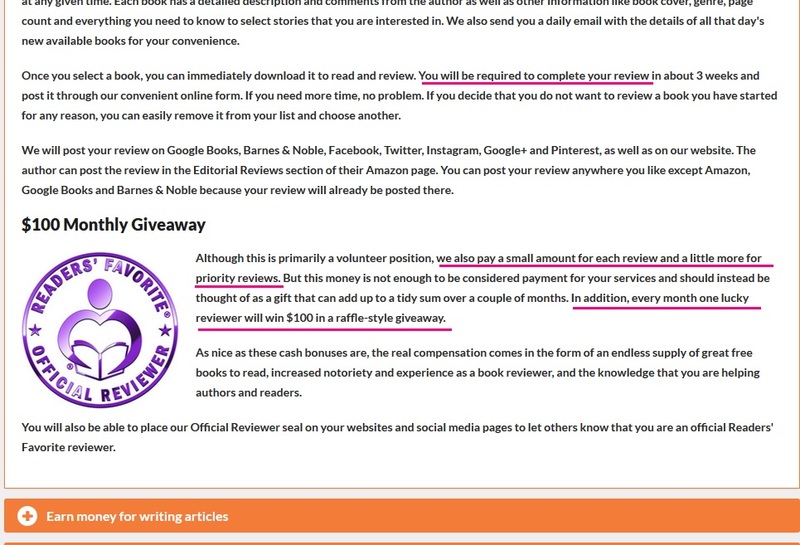 In addition, every month one lucky reviewer will win $100 in a raffle-style giveaway." Not only are authors paying Reader's Favorite, but the reviewers are being paid per review. They're also being entered into a cash drawing. 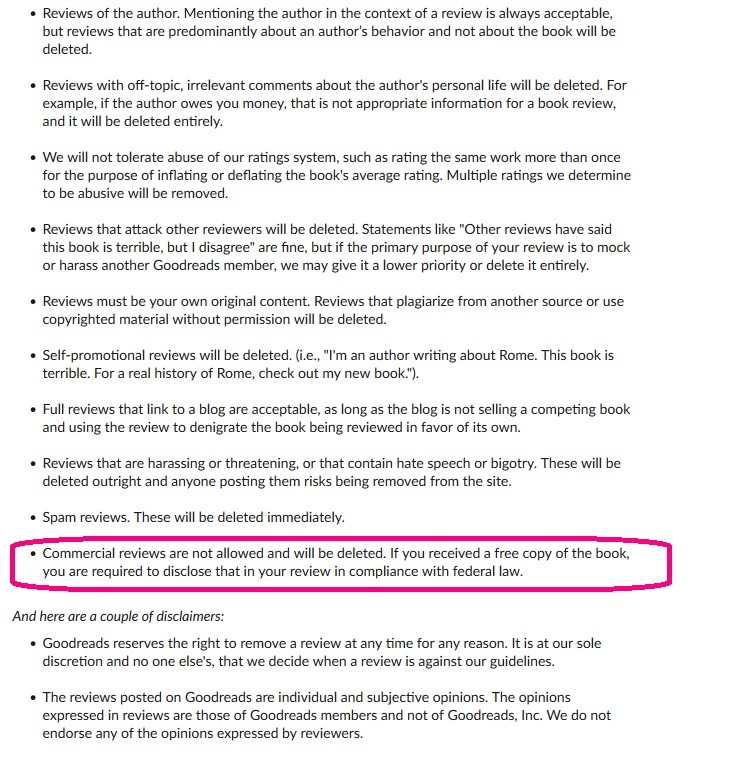 THIS means their reviews cannot be posted as consumer reviews on Amazon or GoodReads, and if/when they are they are violating TOS. And, it gets worse. Reader's Favorite only publishing a review if it's a least 4 stars is one thing, since presumably they're doing it as editorial/professional reviews. On the reader side I saw no stipulation that they could not post a less than 4 star review wherever they choose to post the review. Although from information provided on the author's side, which you'll see below, it strongly suggests that member readers will be advised not to post a less-than-4-star review publicly, possibly in verbiage not visible until/unless one is a member. However, Reader's Favorite does allow authors to "review the review", and "provide feedback" so the reviewer can "improve". Which is problematic, when these reviewers are not specifically and firmly advised they cannot post their reviews as consumer reviews. 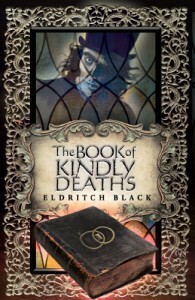 "If a book receives less than 4 stars no official review is given. Instead, the reviewer will write constructive criticism to let the author know what problems they had with the book and offer any suggestions they may have to improve it. This will be about the size of a regular review and will be sent to the author privately; it will not be posted publicly. 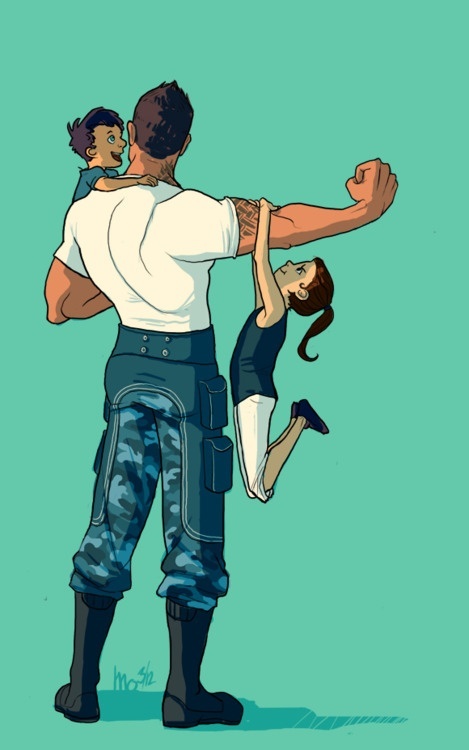 We are here to help authors, not hurt them. Although we as a company do not interfere with what rating a reviewer gives a book, as the rating must be what the reviewer feels is appropriate, we do monitor the average ratings of our reviewers to ensure they are being fair and honest about their ratings to maintain the integrity of our reviews." "Because it is critical that reviewers provide quality reviews, we invite you to Review your Reviewer. When your review is complete, you will be able to login to your Author's Area and rate your reviewer on a 5-star scale and provide a short review, just as they did for you. Your feedback is presented to the reviewer to help them improve their skills, the same way book reviews help authors improve theirs. The information is also passed to the Readers' Favorite staff to help us ensure the quality of our reviewers and reviews." 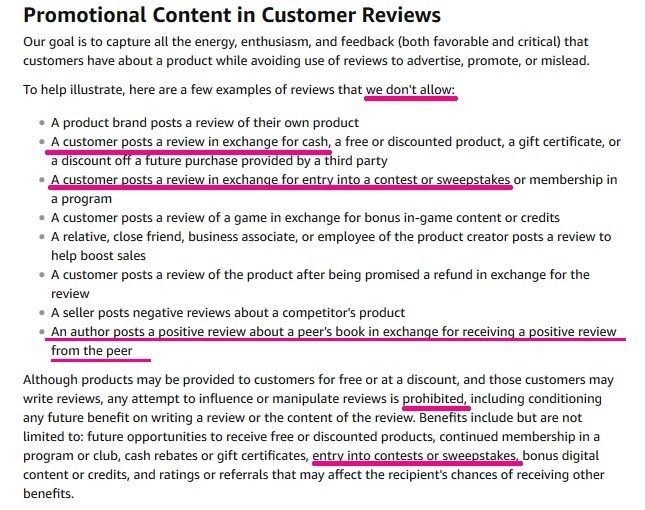 A lot of red flags there, this careful language suggests that reviewers will be monitored and rewarded/penalized if the "quality" of their reviews is not considered "fair", by the company, which I don't think it's unreasonable to consider it likely to mean keeping their overall rating/review average high, to keep authors happy. "Goodreads also has restrictions regarding reviews posted by professional review companies, so we ask our reviewers to use their personal Goodreads account to post your review. If you do not see our review on your Goodreads page then the reviewer does not have a Goodreads account. However, you can post the review yourself. You can either post an excerpt of your review in your book's description or you can post our complete review like any other reader's review. Be sure to keep the first line showing the review is from us, then it makes no difference who actually posts it." Those of you familiar with GR will see how this is problematic. Sure, if an author quotes a professional review in their own review space with the designation "Review From Author", GoodReads might let that fly, although it definitely still is a violation of TOS and should only be posted in areas where promotional information is allowed, not a review. The statement also doesn't specify this definitely would not be acceptable for non-authors. GoodReads doesn't allow people to post professional reviews as long as they do so from their personal accounts, or as long as they credit where the review is from. GoodReads doesn't allow commercial/professional reviews to be posted as reader reviews, at all. 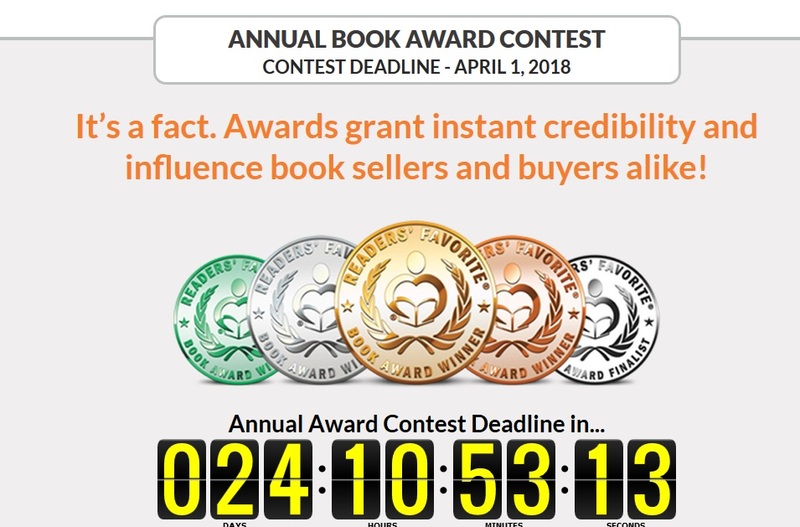 Unfortunately this service is attractive to indie authors who think editorial reviews are important, and the cost of Kirkus is prohibitive, or the review they received from Kirkus was not suitable for promotional purposes. The authors I spoke to who used this service hadn't even bothered to look at the reader side of things, although did admit to being pleased they'd received reviews posted to Amazon as consumer reviews. In my opinion this service is very close to the scam the coupon clubs had been running, convincing the unwary they were in compliance with Amazon TOS when they were very much not. And I wanted to warn other readers about this particular service, what it's doing, why it's a problem. I also think it's a safe bet there are many others like it out there. "I feel the same. Amazon is extremely controlling about who can post a review. A very good friend of mine bought a paperback copy and has tried posting her review multiple times, but Amazon keeps booting it off. For some reason they think she's not a verified purchaser so they won't allow the review to post. And good luck on trying to contact them. You'd have better luck trying to get a sunburn on Antarctica than to get anyone to understand what you're trying to ask them." 'Amazon doesn't require people to be verified purchasers in order to post reviews. So that is not the reason her review is not being allowed to be posted. They do not allow friends and family of an author to post reviews, for reasons I think are pretty obvious. That would be why her review is not being allowed to be posted. "Amazon has no idea she's my friend, and yes, they do only post verified purchases. They don't care if it's your friend, grandmother, aunt or a perfect stranger as long as their system verifies the purchase was made with a credit card bearing the same name." "For perspective, I am aware of many many indy authors who solicit almost all their reviews from relatives and Facebook friends. That's far more misleading than an RF reviewer posting one review. All this appears to be somewhat the nature of self-publishing for better or worse." Believe me, there are still many authors out there thinking like this. Thankfully they're mostly very small potatoes, but they're all chatting each other up about how this sort of thing is perfectly fine, and there are more out there than you may see. Of course thankfully they're still a minority, or at least only a minority is dumb enough to say things like this in public. Remember that author pal of Ms. Vidal's, who joined in to attempt to get the attention of a reviewer's employer and making accusations against him? If you don't, you can read about it here: Another Author Joins in the Fun. Well, I am pleased to report that particular author as of today is no longer a GoodReads Author. It had been noticed a few days ago that the offending comment of hers posted to Ms. Vidal's blog and FB page had been removed. Presumably she'd gotten an inkling it had gotten her into some hot water. Just as Vidal had deleted her blog post targeting reviewers right before she also lost her GR Author status. A third author has joined in the fun, harassing Ms. M. on one of her reviews. After careful research it's been determined this author has been rating/reviewing the same books from two different GoodReads accounts. Most are his own books, but a couple are books written by his pals. He also has posted ratings of some of his books under more than one format. This all has been reported to GoodReads. Hopefully they'll get that mess cleaned up soon as well. "Alisa looked wistfully in the direction Leonidas had gone, wishing Jelena would approach him at some point. She felt certain that he would volunteer an arm as sturdy as a metal bar for gymnastics purposes." 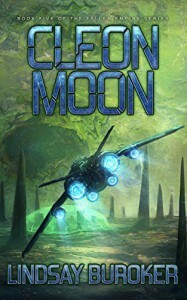 I am enjoying this final installment of the series, but reading is bittersweet because it brings me closer to the end and it'll be OVER! I can see this series becoming one of my comfort re-reads, characters that start to feel like friends. There's action here, but this one also brings us closer to some real heart, with the relationship between Alisa, Leonidas, and Jelena. Starfall Station (Fallen Empire #2.5), which is a direct continuation of their story, I think that's perfectly fine in this case. “It’s possible he has an inordinately high opinion of himself,” Alejandro said. “We didn’t want you to strain yourself,” Alisa said. Thankfully the angsty romantic uncertainty with the MC, Stassi, that was annoying me cleared up around the 20% mark, and I enjoyed this one quite a bit. 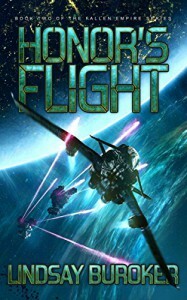 Not quite as much as the first one, but still liked it and went on to read book three. One thing I really like about Stassi is that she has a lot of empathy. Even when she was doubtful of wanting a relationship with the LI (though clearly attracted to him, and vice versa), she was able to put herself in his shoes, and snapped herself out of being unfairly cold to him, treated him as a friend, and had understanding for his situation. And again, this story contains a romantic angle, but it's not a huge focus, which I also appreciated. This book covers an interesting heist that takes place in their current day, the future. No time travel then, but a lot of fun and imaginative high tech to play with. Overall a satisfying read. Although, dang it, it ends in a bit of a cliff hanger. Main present plot is resolved, but then there's a bit more that occurs that is of the "To Be Continued" type. I need the next one right now. Couple quibbles: They go back to the time of Lady Jane Grey, London 1500-whatever. Language used by the contemporaries isn't really true to the time, but not too jarring to someone not expecting historical accuracy, except a few times. Once, when Lady Jane says, "okay". Um, yeah, that's so anachronistic it's jarring. 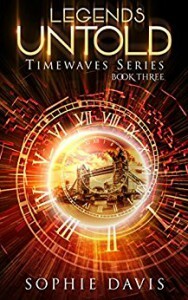 Another time another contemporary says it, and our MC says it to a contemporary - when she's a time traveler trying to, you know, fit in with the time. In one scene Lady Jane is wearing silk pajamas. I'm not an expert but I'm pretty darn sure women didn't wear pajamas in the 1500's. Pants of any sort were a big NO, even for sleeping attire. But with the story it's really pretty minor. I don't expect anyone reading this, particularly after reading the first two and knowing what to expect, is going to be displeased. 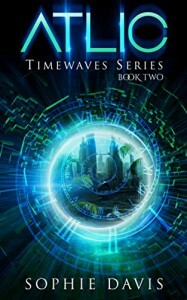 A thoroughly enjoyable time travel adventure. Sadly ending, again, in a cliff-hanger. I NEED the next one!